“Shots fired, shots fired!” one of the Baton Rouge police officers who shot and killed Alton Sterling can be heard telling dispatchers in a recording. Meanwhile, newly released cellphone video shows that Sterling never had a gun in his hand during the fatal encounter. 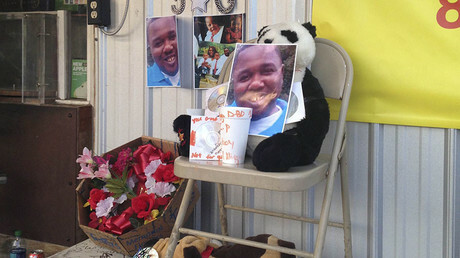 The dispatch tape, published Wednesday, is just 26 seconds long, but it includes audio from both the initial report of a man with a gun selling CDs, to which Officer Blane Salamoni and Officer Howie Lake II responded, as well as the immediate aftermath of the deadly police shooting on Tuesday night in front of the Triple S Food Mart in Baton Rouge, Louisiana. “Copy suspicious Code 2,” a female dispatcher is heard saying at the beginning of the recording obtained by WAFB. Code 2 reportedly warrants an urgent response. “Selling CDs on the corner. Gun in his pocket. He pulled a gun on a complainant and told him he couldn't be around there,” the dispatcher continues. The next bit of audio directly follows the shooting that left Sterling dead. “Shots fired, shots fired!” an officer is heard yelling, to which the dispatcher responds, “Copy, shots fired. North Foster. 2100 North Foster,” referencing the convenience store’s vicinity. Even more illuminating is the graphic cellphone video captured by the owner of Triple S Food Mart, Abdullah Muflahi. 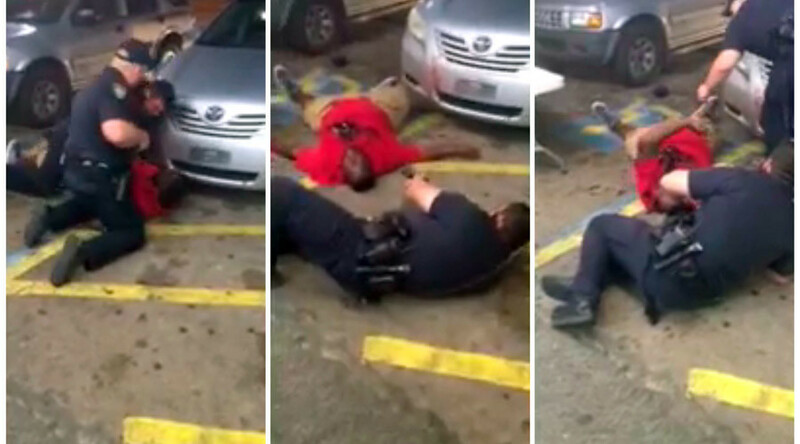 The footage, given to the Daily Beast, appears to show Officer Lake near the head and chest of Sterling and Officer Salamoni pinning him down near the legs and waist. “He’s got a gun! Gun!” an officer, presumed to be Salamoni, shouts at the beginning of the video, prompting his partner to pull out his service pistol. “Hey bro, you f***ing move, I swear to God,” the other officer says, now pointing his gun down at Sterling. One second later, two shots are fired. Then, before at least two more shots are fired, an officer is heard yelling, “Get on the ground!” despite Sterling already being down. Several seconds later, the officer who appears to be Salamoni calls the dispatcher, with the “Shots fired!” call, which is heard in the released dispatch tapes. Sterling died from gunshots to the back and the chest, according to the East Baton Rouge Parish Sheriff's Office’s autopsy. Muflahi’s video shows that Sterling never had a gun in his hand, but Muflahi has told multiple media outlets that Sterling was armed and that police took his gun from his pocket. The video does show police removing an object from Sterling’s pocket just as he reaches out with his left arm to his chest as he lay dying. Police are not confirming whether or not Sterling had a gun on him or if any was recovered from the scene. While the initial report alleged that Sterling threatened a person with his gun, Muflahi told the Daily Beast that Sterling was not the one causing trouble and that he had been a welcome presence at the store’s parking lot for years. In another interview with the Advocate, Muflahi said Sterling had started carrying a gun “a couple days ago” after other people he knew selling CDs on the street had been robbed. In a press conference Wednesday, State Rep. Denise Marcelle (D-Baton Rouge) said that Baton Rouge Police Chief Carl Dabadie told her that both of the officers’ body cameras were knocked off during the struggle with Sterling, but that dashcam footage and the store’s surveillance video are being processed. Following the shooting Tuesday night, protesters arrived to the scene of the shooting, and according to WAFB, not all was peaceful. The station’s crew left after a reporter’s iPad was stolen. Police ultimately arrested a suspect in the matter. A vigil at the convenience store is scheduled for Wednesday night at 6:00pm.